One of the primary ways Jobs was effective in reaching audiences was his remarkable ability to establish a personal connection between himself and each audience member. Instead of speaking to a group as a whole, he seemed to speak to each individual as if he were having a familiar, one-on-one conversation. Quite a trick, but largely a matter of one’s attitude and intentions as a speaker. Jobs seems to have been so comfortably adept at it that many people who heard him speak have talked about coming away with a feeling of personal connection. Jobs was also a master of suspense. He had such a knack for suggesting there was something more (and better) to come, that his listeners were in constant danger of slipping off the edges of their chairs. This skill was even reflected in the way Apple’s products were marketed and released. Apple fans know all about launch delays, limited availability and other suspenseful circumstances, but they don’t seem to have damaged the popularity of the company or its products, much less its legendary customer loyalty. 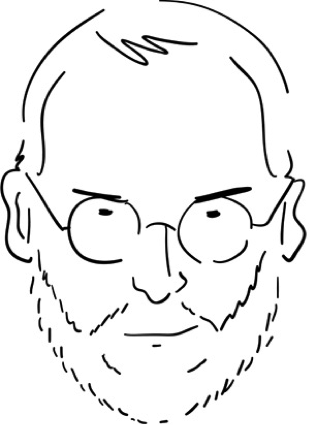 Finally, Jobs’ presentations consistently benefited from his passion for his subject. His pride and passion shone through in his talks, and audiences responded – favorably. -Focus on the Individual: Develop the skill of speaking not to “an audience” but to its individual members. This can be done by direct questions to individuals such as, “How many of you have heard about…?" -Build Suspense: While not every topic is going to lend itself to this technique, you should try to keep the audience anticipating what’s next, and save the best for last, when appropriate. This is a matter of planning and sequencing your presentation well, and practicing its delivery. As you can see, terrific design, great images, skillful use of media and a strong script aren’t everything, when it comes to an effective presentation. No, the most important element is you. Toke Kruse is a serial entrepreneur with more than 10 startups to his credit. He is the owner of Slideshop.com, a major provider of PowerPoint presentation templates. He’s also founder of Billy’s Billing, creators of small business accounting software in plain English. Connect on Twitter here and here.